Not for the first time in Egypt, a romance between a Muslim divorcee and a Copt eventually ended in tragedy late last year, when the woman, who had ‘converted’ to Christianity, was killed by members of her family. Many parts of the story seem inexplicable: how a romance between a Muslim woman and a Christian man could end in marriage in a country where Sharia makes this legally impossible; and how a mother could pay with her life for being with a Christian, while her killers remain at large. There appears to be a pattern of collective punishment, favouring the strong against the weak. It’s a sectarian twist to a notoriously familiar ‘honour-killing’ scenario plaguing many Islamic cultures. It all began in 2013, when a romance started between Marwa Mohamed, 26, and her Coptic neighbour, Karim Eid, 27, in the town of Tamia, 87 km southwest of Cairo. The Muslim mother of two (Sahar, eight, and Omar, six), used to frequent a nearby Christian jeweller’s shop where Eid was working. “The frequent visits by Marwa to meet Karim at the shop gave reason for Karim’s employer to dismiss him,” explained George Fahmi, a relative of Eid and a resident of their home town of Tamia. Marwa’s desperate family tried unsuccessfully to locate her. Their attempts included storming the local St. George church and the priest’s home, according to Fahmi. Unable to bear the shame of his daughter’s elopement with a Christian, Marwa’s father, together with her mother and siblings, left Tamia for Cairo, where he earned a meagre living as a concierge. During this time, according to Fahmi, Mohamed converted to Christianity (a ‘conversion’ not backed by official papers), and lived with Eid in Alexandria for nearly 30 months, during which time she became pregnant and they had the baby aborted. On 6 November last year, Eid took Marwa back to see his family in Tamia. Sahar, Marwa’s daughter from her previous husband is said to have spotted her mother. Eid might have thought Marwa’s now quite changed appearance, with Western clothes and without a headscarf, would mask her identity. Word spread quickly, and as male guardians of the family’s honour – in absence of her father in Cairo – Marwa’s cousins took it upon themselves to storm Eid’s home, where they assaulted his mother and forcibly took Marwa away to her parents in the capital. Eid was not in at the time. Another uncomfortable fact is that Eid then escaped for his life. For, following constant taunting by the community, the incensed relatives retrieved Marwa from her parents’ Cairo home back to Tamia, where she was killed. Marwa’s younger sister was made to slit her older sister throat, “as a way to deter her from following in her footsteps”, Egyptian media quoted sources as saying. Another version of the story said, however, that Marwa was strangled. A conciliatory meeting was convened between the Muslim woman’s clan and Eid’s family. 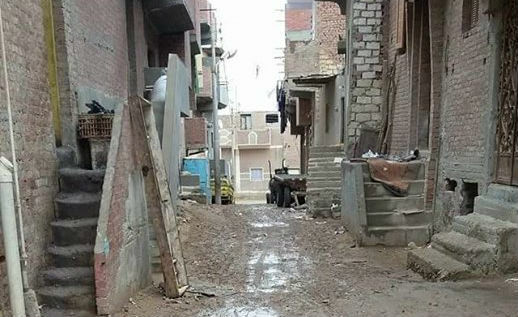 In the presence of the local priest and under the auspices of high-ranking security officials, “it was agreed that the Christian family would sell their homes and leave the town for good, and never set foot therein”, sources told Egyptian media. Ten days were given for Eid’s immediate family to relocate from their hometown, in order to “avert a sectarian incident”. “In scores of incidents, Christian properties were attacked. Often Copts, related to the incident merely by religious association, have been victimised. Offenders are seldom brought to justice,” added Mina Milad, a lawyer and member of the Egyptian Union of Human Rights Organisation. “When the romance is the other way round, i.e. a Christian woman converting to Islam for the sake of a Muslim lover, or to escape family pressures, the state deals with it very differently. In this case, the conversion is made legal and paperwork is expedited, even in cases of underage girls,” journalist Nader Shokri wrote on the website, Copts United. While these issues are not new, one Muslim journalist bemoaned the trend. “Apparently ISIS is a mentality which puts the knife to the neck of this country,” said Ali Aweiss, suggesting many ordinary Muslims might think or behave in ways not so different from the jihadist movement whose theologically-justified atrocities have made headlines around the world. “Two lines into the heart-wrenching story of Marwa, one reads right next to it, ‘German family openly convert to Islam’… with a picture showing a man, his wife and two children, mother and daughter clad almost totally in black,” added Aweiss, writing for the Egyptian news site, Misr Times.